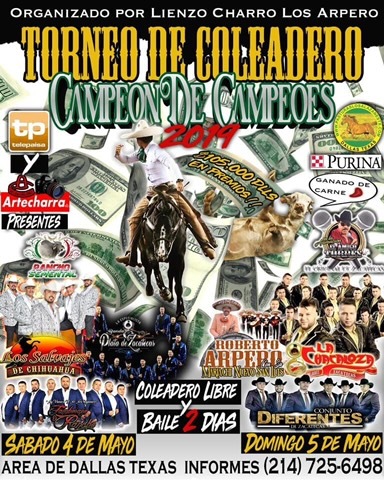 Pasturas Los Alazanes is proud to be a sponsor of the Torneo De Coleadero, Campeon De Campeoes, May 4, to May 5, 2019. 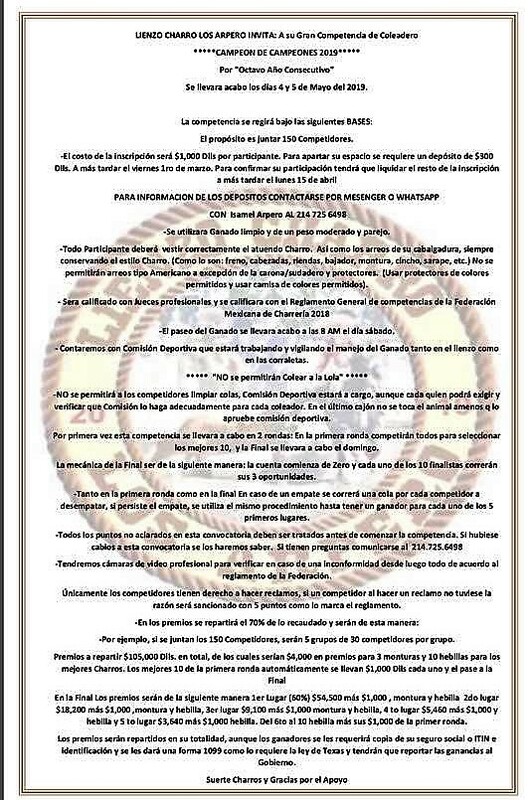 Pasturas Los Alazanes is awarding a feed prize to the top 30 competitors. 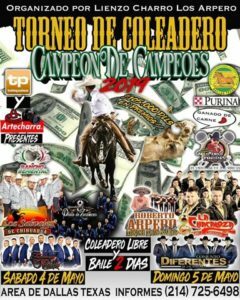 Come out for a good time and a great competition. This entry was posted on Monday, April 8th, 2019 at 3:28 pm	and is filed under Event, News & Updates. You can follow any responses to this entry through the RSS 2.0 feed. You can leave a response, or trackback from your own site.